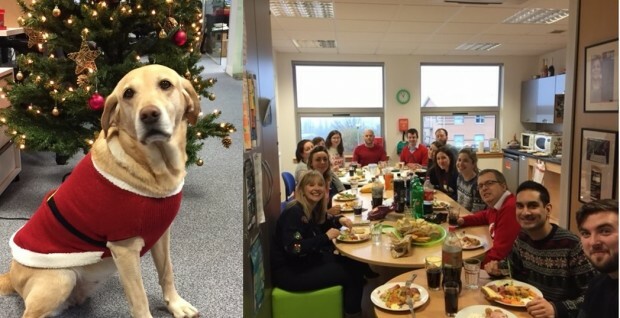 To celebrate National Christmas Jumper day the StockdaleMartin team wore their best festive knits to the annual Christmas buffet. There were no exceptions this year, not even for our trusty canine friend Della who wore her Santa’s little helper jumper! This year the Christmas buffet was executed by meat-lover Phil, who chose a variety of treats and not just meat…phew! But the celebrations don’t end there! Tonight we are off to our annual Christmas party where we will be heading to St. Albans for more Christmas food and maybe a few cocktails! Let us know what you will be doing for your Christmas party!